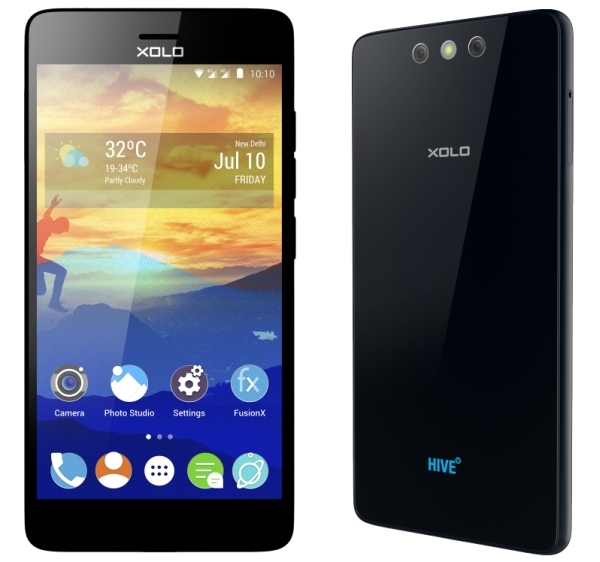 XOLO has launched its new brand today - Black - which will be the company's online only series of smartphone. The first device in the range, called simply XOLO Black, will be sold exclusively through Flipkart for Rs. 12,999 ($205). The XOLO Black has a slim 7.3mm body with Corning Gorilla Glass 3 on front and back. It also has a dual camera feature, with a combination of 13 megapixel sensor and a 2 megapixel depth sensor, similar to HTC One phones. The UbiFocus feature lets you change focus after capturing the image. The camera also has a focusing time of 0.15 seconds and an OptiZoom feature to improve the quality of digital zoom. The phone also has a Photo Studio app powered by Adobe. Other than that the XOLO Black has a 5.5-inch 1080p IPS display, Qualcomm Snapdragon 615 processor, 2GB RAM, 16GB internal memory with microSD and USB OTG support, hybrid dual SIM support with LTE, 5 megapixel front facing camera, 3200mAh battery, and HIVE UI running on top of Android 5.0 Lollipop.